“I’m not here to preach to the choir. I’m here to praise them” said our Chair Samuel West to the UK’s largest gathering of councillors and officers involved with culture, tourism and sport. 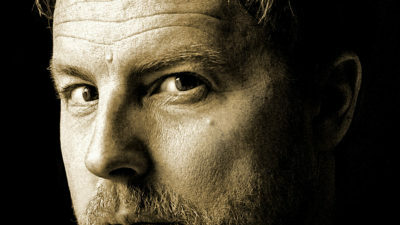 The actor and director was speaking at the Local Government Association’s (LGA) Culture, Sport and Tourism conference last week in Hull. The LGA are one of our partners for the Hearts for the Arts Awards, which we created to thank and celebrate the work of Councils, Councillors and Council Officers who have overcome financial challenges to ensure the arts stay at the centre of community life. “I know you head into work every morning thinking “Allow a venue to close? Not on my watch. You can have my arts budget when you prise it from my cold dead hands.” I’m not here to preach to the choir, I’m here to praise them. In extremely trying circumstances we know how much you’re doing to keep arts and culture at the centre of your communities. 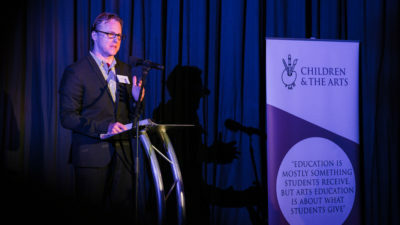 You can download and read the full transcript of NCA Chair Samuel West’s speech here. 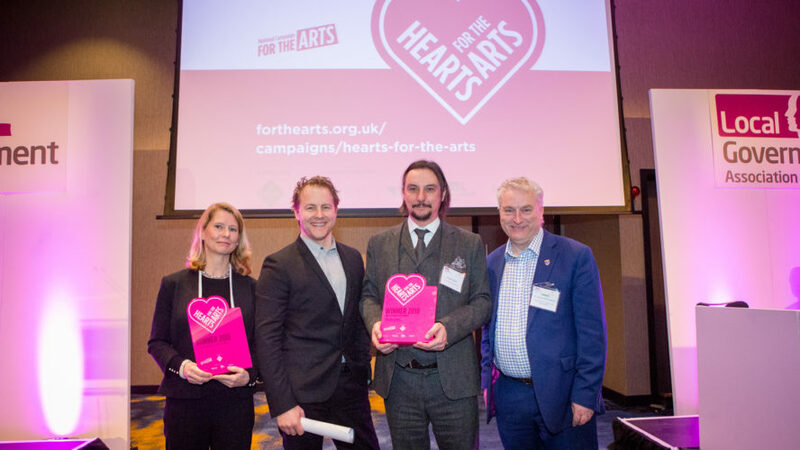 Our chair was also delighted to be able to present two of the 2018 Hearts for the Arts Awards to their winners at the conference – Lorna Lee, winner of Best Local Authority Arts Champion – Officer, and Stuart Davis who received the award on behalf of Plymouth City Council’s project I.AM.NOT.A.ROBOT winner of Best Local Authority Arts Initiative. “The outstanding work by Lorna Lee in Waltham Forest shows what can be achieved, and is also reflected in the recent announcement of Waltham Forest as the first London Borough of Culture in 2019″. This year’s awards saw more nominations than ever before, from all four UK nations for the unsung arts champions of local councils, councillors and local authority officers. “Hearts for the Arts is a celebration, a chance to heap praise on the exceptional people who champion the arts as a life-enriching force for good. These two awards are richly deserved. The remaining winners of the 2018 Hearts for the Arts Awards will be presented with their awards at special presentations in their local areas later this year. The 2019 Hearts for the Arts Awards will open for submission later this year. Watch this space for details.